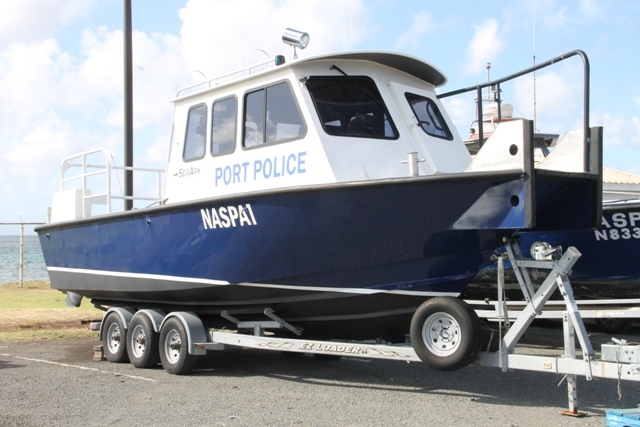 The US$169,000 vessel, will be used by the Authority’s Marine Unit to patrol the waters around Nevis’ coastline in keeping with the requirements of the International Ship and Ports Facility Security (ISPS) Code, a document which outlines the procedures all port authorities must follow since 9/11, once they have international ships and aircraft coming into their ports. The vessel, which is a step up from the older vessel, replaces the first vessel owned by the unit which was damaged and subsequently capsized in rough waters alongside the Long Point Port during the passage of a storm in 2014. According to Dore, the replacement vessel has an enclosed area for the crew’s protection while out at sea. He said it also has the capacity to assist the St. Kitts and Nevis Coast Guard in rescue missions in Nevis’ waters and to transport persons as far as St. Kitts. Dore noted that the authority would also seek to transport members of the Cabinet of the Nevis Island Administration to St. Kitts on government business in air condition comfort. 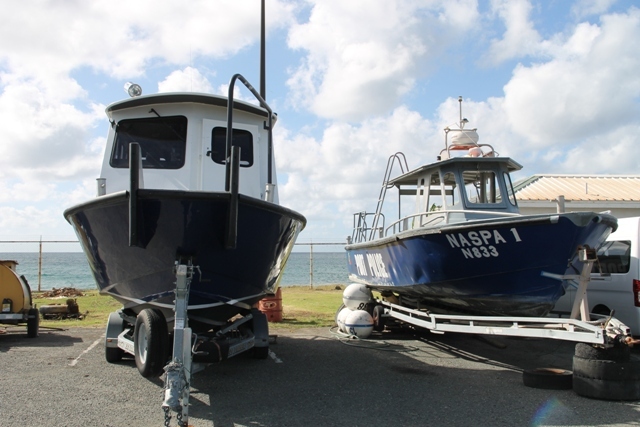 The NASPA Chairman said the Board is pleased that the vessel which was purchased in the United States of America had arrived on the island at a time when the cruise season is just taking off to allow the authority to carry out its mandate as far as patrolling the waters whenever cruise ships docked at the island’s ports. Regarding the older vessel which has been on dry dock since the accident, Mr. Dore explained that the authority, considering its options, has decided to sell the stricken vessel at an appropriate price to an interested buyer. “We are willing to put it on the market for sale so that we can give somebody else the chance to use it, probably a fisherman who does not necessarily need to have a haul on it to use it to carry out their fishing duties. “So if there is anyone who is seriously interested in purchasing they can come forward and once we arrive at a suitable figure we are willing to part with it to allow somebody else to make a livelihood with it,” he said. Regarding expanding the fleet run by the Marine Unit, Mr. Dore explained that although one vessel is sufficient under the ISPS Code, ideally they would welcome another vessel from a willing donor or a friendly government and the authority is willing to assist in part to meet the cost of $169,000 or with the cost of a more upscale vessel. He explained that the Customs Department also shared the responsibility for boarder protection and to that end they work in tandem with the NASPA’s Marine Unit. However, it is difficult if there are two patrol-related activities occurring simultaneously. 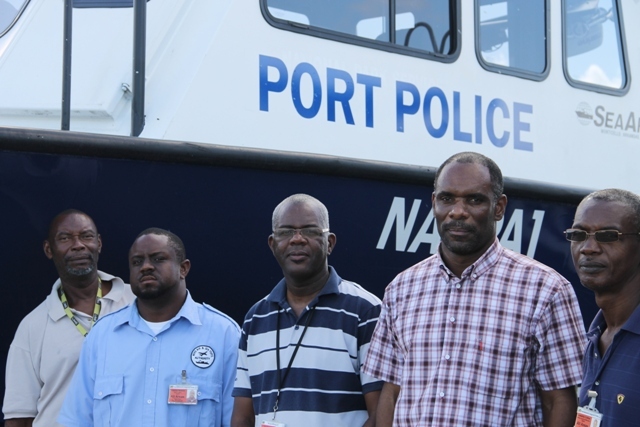 Dore was accompanied by Manager of the Nevis Air and Sea Ports Authority Oral Brandy, Head of the Marine Unit Llewellyn Collins, and Dwaine Walters and Audra Barrett also of the Unit.